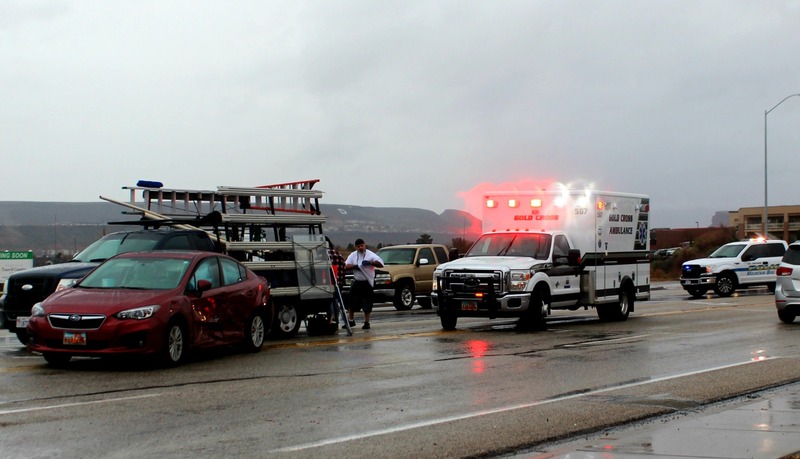 ST. GEORGE — A number of officers, paramedics and firefighters responded to a four-vehicle collision that blocked multiple lanes and caused minor injuries Wednesday after a driver ran a red-light on South River Road during heavy rainfall. 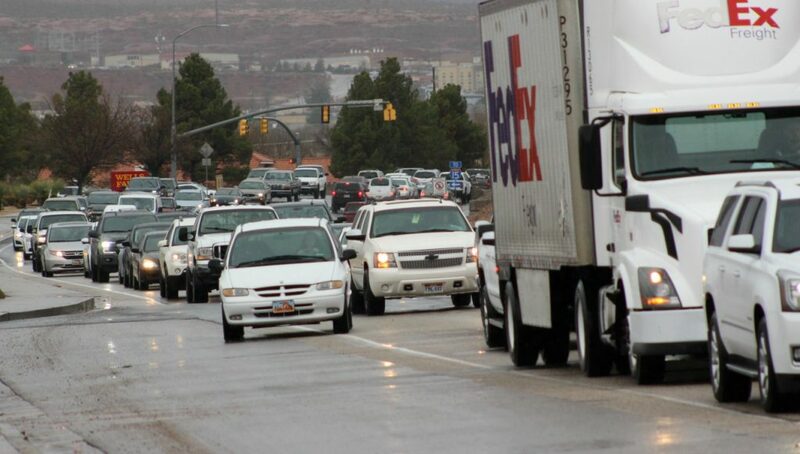 “This crash was set in motion by a driver running a red light,” St. George Police officer Andy Mickelson said. 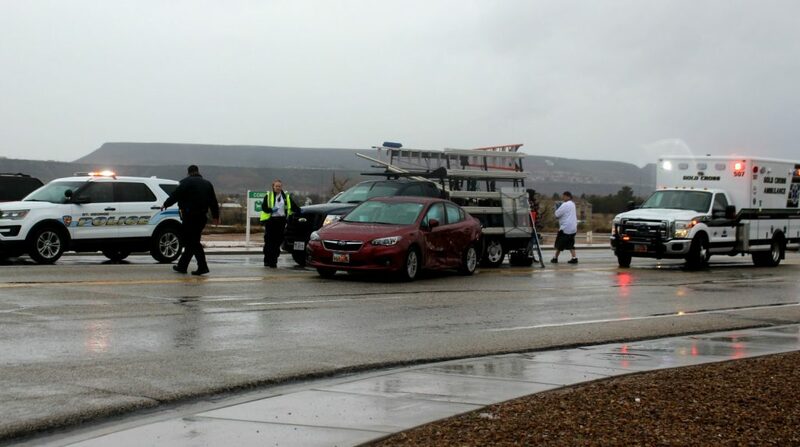 Officers and emergency responders were dispatched to the scene at the intersection of South River Road and 1450 South at 12:20 p.m. for a crash involving a black Subaru passenger car, a red Subaru passenger car, a gray Lexus SUV and a Ford pickup truck hauling sheets of glass. Officers found the vehicles in the middle of the intersection partially blocking traffic in both directions and were soon joined by emergency personnel who began tending to the scene as officers redirected traffic away from the crash, Mickelson said. Paramedics determined there were minor injuries, Mickelson said, but no one was taken to the hospital. 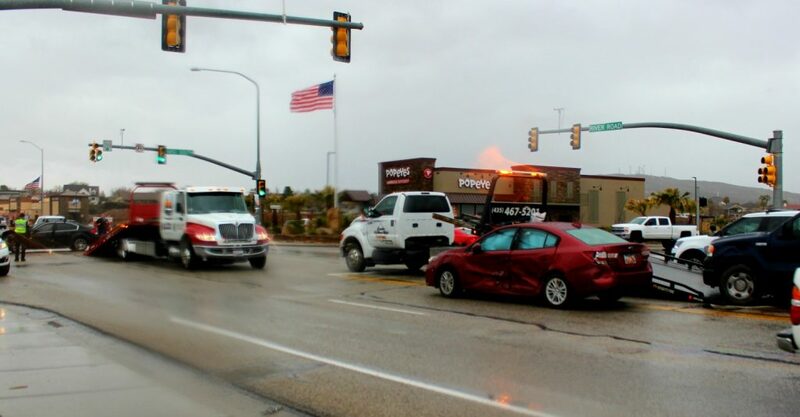 The black Subaru had pulled out of Popeyes fast-food chicken restaurant and was heading east on 1450 South through the intersection on a green light when it struck a red Subaru heading north on River Road in the No. 2 lane. “That red Subaru ran the red light and was struck on the passenger’s side of the car,” Mickelson said. 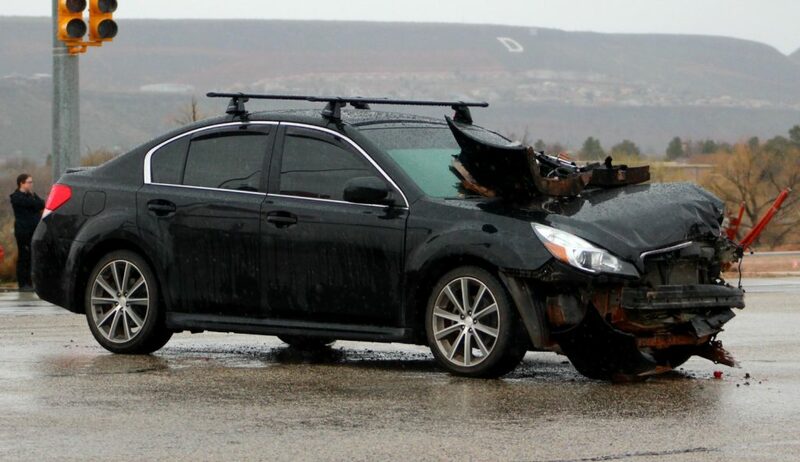 The impact spun the red Subaru around until it struck the Lexus that was stopped in the westbound lane of 1450 waiting to make a right turn onto River Road. It “continued its out-of-control movement” and struck the Ford pickup truck waiting in the southbound left-turn lane of River Road. The airbags deployed in three of the vehicles and all sustained significant damage and were towed from the roadway. 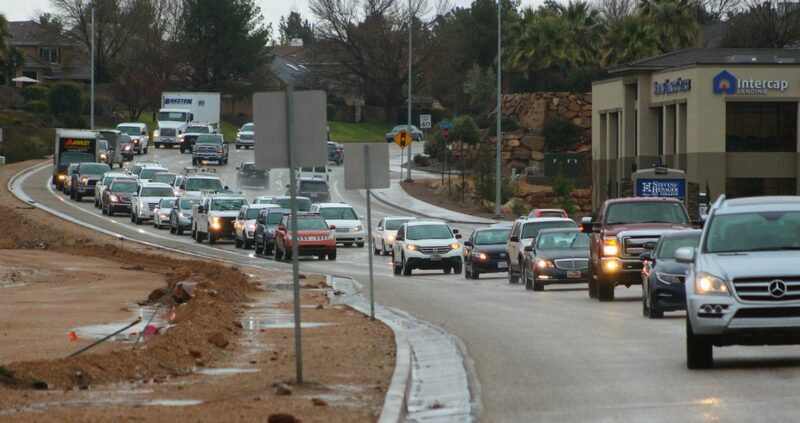 The driver of the red Subaru was cited for failing to obey a traffic-control device. 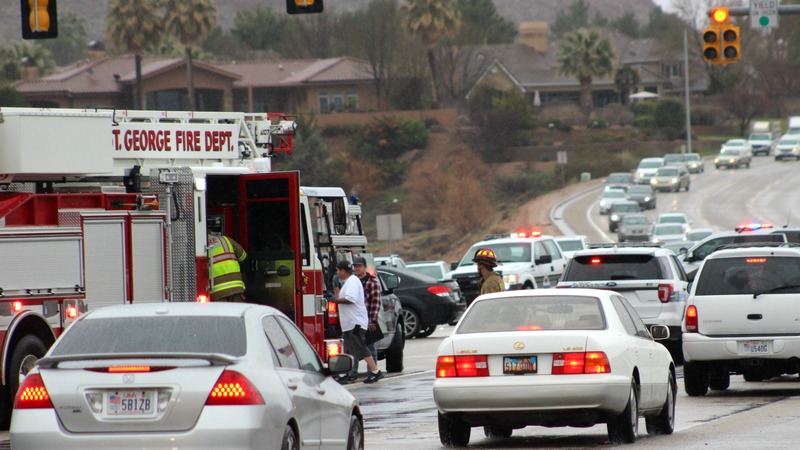 The St. George Police Department, St. George Fire Department, Gold Cross Ambulance and an Arizona state trooper responded and assisted with the large scene.